One of my favorite ways to pamper myself is with a long soak in the bath. Since Valentine’s Day is coming up, I wanted to make myself an extra special recipe. I like to make custom bath soaks based on my mood and skin needs. It is so easy and quick to make your own bath soak. There are so many ingredients you can use in a DIY bath soak. Salts, dried herbs, oats, and oils are good additions to any bath based on your preferences and needs. My favorite bath soak recipes often include Epsom salt. This salt is actually minerals made up of magnesium and sulfate. 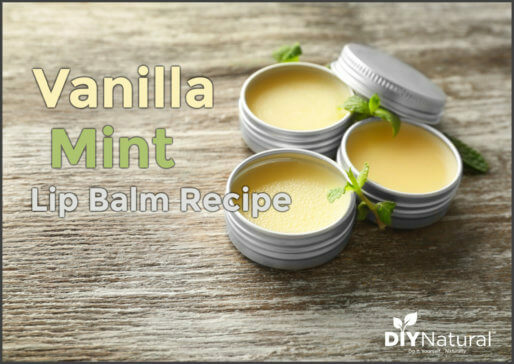 It is great for soothing sore muscles and aches and pains, as well as drawing toxins from the body. I turn to an Epsom salt bath when I am stressed out or if I’ve been putting extra stress on my body. It always makes me feel wonderful! I love to use this homemade oatmeal bath recipe to soothe dry, itchy skin in the winter. Since oats are wonderfully emollient and help moisturize skin, I’ve known people who suffer from eczema, psoriasis, and other skin conditions to use a homemade oatmeal bath weekly for relief. I often use oats in my children’s bath to condition their skin. In addition, I like the comforting aroma that warm oats create. It’s very soothing! Essential oils can also be added to a bath if they are properly diluted in a carrier like liquid castile soap, or a carrier oil (jojoba, castor, fractionated coconut oil, etc.). It’s important to note that not all essential oils are suitable for baths, particularly the “hot” oils or oils that have low dermal maximums like peppermint, lemongrass, cinnamon, and thyme (among others). Many times I’ll choose herbs over essential oils in my bath because essential oils can be a little overpowering in the tub for long periods of time. This easy DIY recipe took me 5 minutes to make. It would make a beautiful gift or decoration to place in your bathroom. 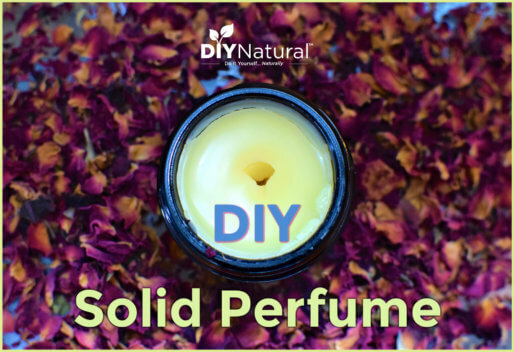 Layer oats, Epsom salts, and dried rose petals in a glass jar in equal amounts. Cap tightly and store until you are ready to use. 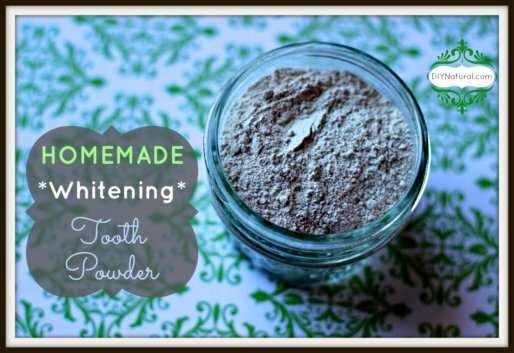 Measure 3-4 tablespoons of bath salts into a muslin drawstring bag. Turn on warm bath water and place the muslin bag under the water. Relax in the bath for 30-40 minutes. When you are ready to get out, pat skin dry (don’t rub!) so it doesn’t lose moisture. I like to follow my bath with a soothing moisturizer or body butter. It helps my skin stay smooth and silky for days to come. This Ultra Moisturizing Three Ingredient DIY Body Butter is one of my favorites! 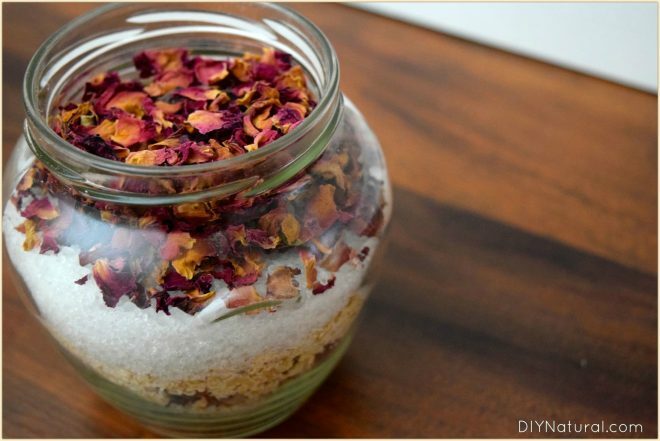 You can also use this Rose and Oat bath soak as a decoration on your counter or as a way to freshen any room. When company is coming over, I open the top of my container to use as a natural bathroom freshener. After my company leaves, I replace the top to preserve the aroma. 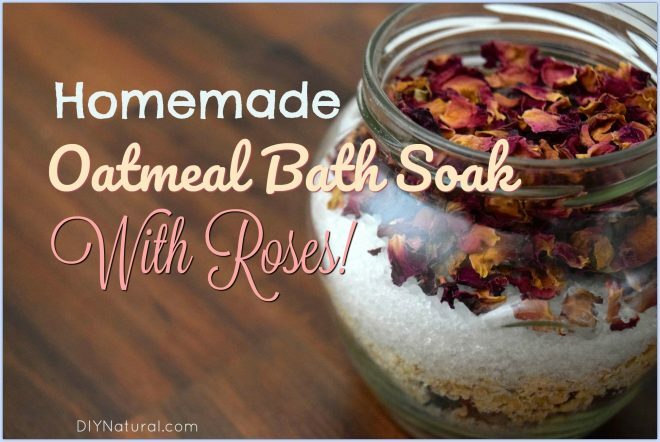 Do you have a homemade oatmeal bath recipe? If so, what were your favorite ingredients?